When summer, we all strive outdoors, especially the kids. So let the kids enjoying outdoor activities during summer with outdoor playground. Make an outdoor playground such as climbing areas, sandbox, and else for your kids. Check out these 9 creative and fun outdoor kid’s play areas below to inspire you. Install some tends outdoor, so kids can play together with friends. Let them play with their own imagination. 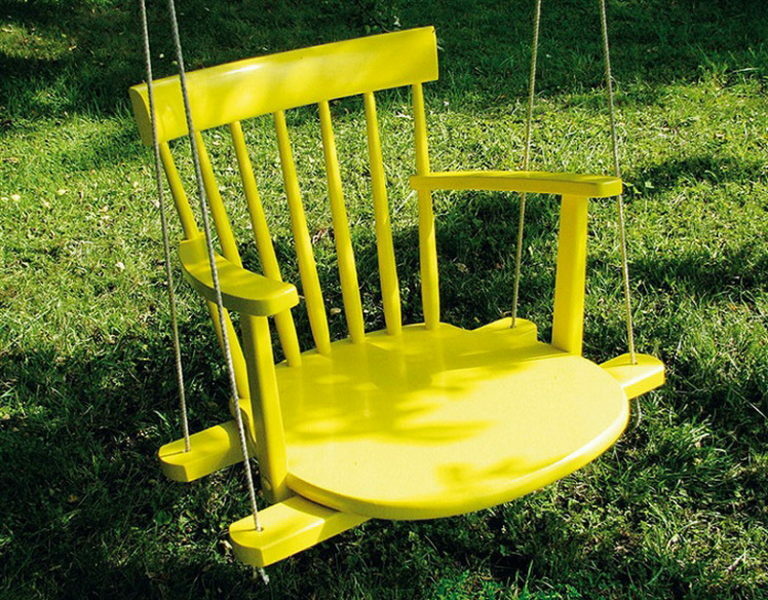 Make a swing for the kids, and they will love it. You can made it with an old chair, tire, and hang it in a tree. Don’t forget to make sure that it is all safe and secure before you let them use it. Make a sandbox and decorate them nicely with colorful flags, beach ball, lazy chair, and many more. Build a tree house simply with a scrap wood and branches and it will be a place where kids can play together. Climbing is a good sport activity to make you have a great body shape. It relieves stress and also fun things to do. Build it at home for your kids to play and don’t forget to put mattress on the ground. With a little bit of colored spray paint and a stencil you can make a Twister. Make it as big s you want. You basically just paint the grass and the color will probably be gone with the first rain but it’s a fun idea for a summer party. Fill the balloon with water, tie it with a string and throw it from one another until it explodes or simply hang the wall from a tree and turn it into a pinata.